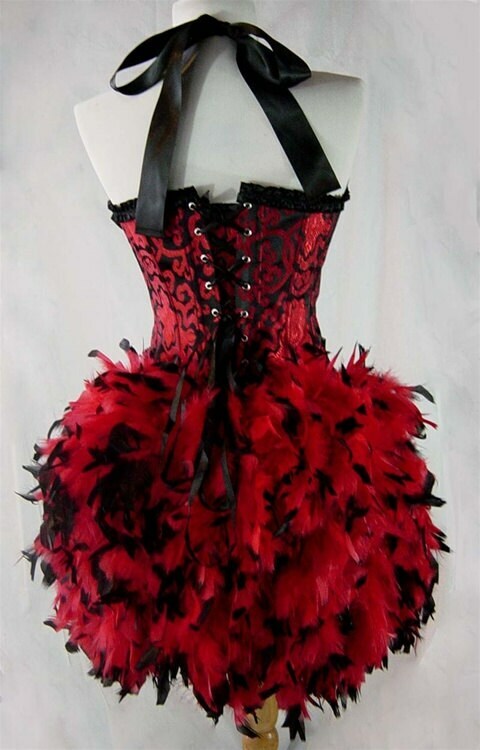 Stunning red and back burlesque costume with attached garter straps and red and black tipped feather train. You will need to purchase a bottom of your choice to wear underneath. Pick your size, please note there may be a production time on your costume. Costume production time varies by design. Please note production times posted for each costume.